I identified my life quote when I was in high school. With Emerson’s definition of success in mind, I set off into the world to succeed. Along the way, I’ve found leadership and inspiration from various people in a variety of ways. At the risk of sounding trite and predictable, my mother was my first inspiration. As a single mother, she portrayed a sense of resolve that filtered through to me. She endured betrayal, yet still always looks for the best in others. When faced with a teenager’s dilemma, she didn’t tell me what to do; rather, she consistently encouraged me to do the right thing by answering to “the girl in the glass.” Most importantly, she led by example. She never asked me to do or behave in a way that she didn’t already exemplify. Her fortitude and perseverance have molded me into the woman I am today. Perhaps also predictably, there are several nationally known personalities who have inspired me: Stephen Covey, Malcolm Gladwell, Seth Godin, Jim Collins, and Simon Sinek, among others. They are not only leaders in their professions as authors and speakers, they are leaders in thought. I admire their intellect – their ability to take complex matter and relay it to us “common folk” for general consumption. They are leaving the world a bit better, and I aspire to be like them. But sometimes leadership and inspiration can hit you when you least expect it. I’d like to introduce you to my cousin’s daughter. Her name is Ellie, and she was diagnosed with leukemia at the age of two. 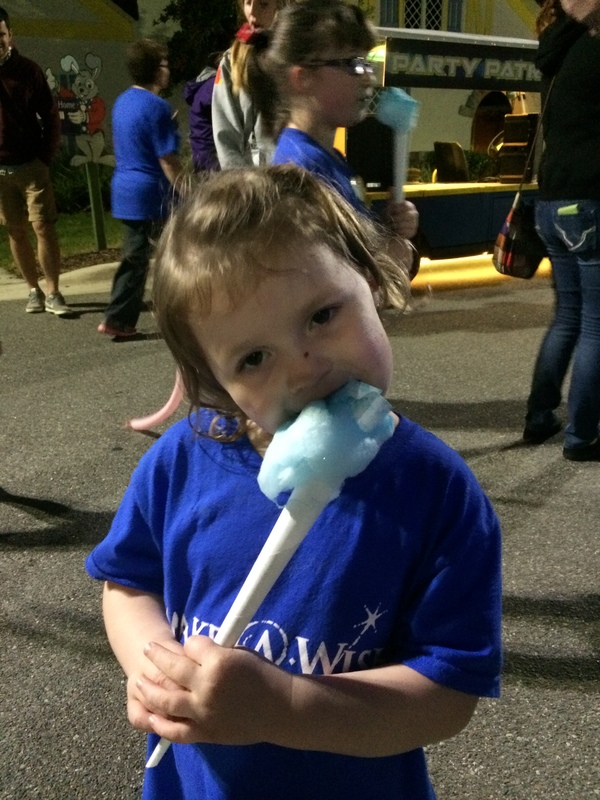 She was granted a trip to Disney World from the Make-A-Wish foundation, so when her family went in January, we made the short trip from my home in Florida to see them. The thing that struck me most about this active four-year-old was her determination. At one point, she was climbing backwards up a slippery slide on the playground. When she neared the top of the 6-ft slide but was having trouble rounding the corner to reach the top, I asked her to sit down because I was scared she was going to fall. She looked right at me and said, “No! I can do this! !” The look on her face was pure, solid resolve. It brought tears to my eyes. And it reminded me that no matter how hard life gets, if you keep trying, and maybe adjust your approach a little, you can reach the top. This little girl, who laughs often and much, won the heart and appreciation of this honest critic. At the blossoming age of four, she has already succeeded.